Macel Duchamp is one of the leading artists of the twentieth century: Bicycle Wheel (1913), his iconic first readymade, is one of Duchamp's famous art-works that changed the course of artists' relationships with both materials and culture. 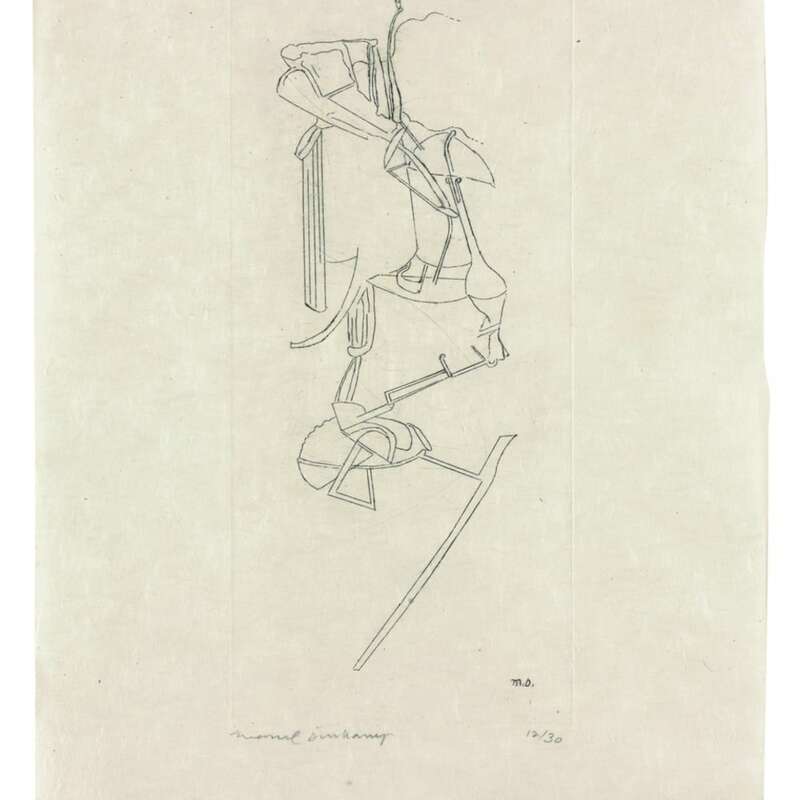 Duchamp rejected art which did not intellectually engage the audience, that which he identified as 'retinal art', and instead proposed an art form based on a creative process of wit and humour rather than technical excellence. The aesthetic appeal of mundane, every-day objects was amplified by their repositioning within an art-historical context; his submission for exhibition in the 1917 Society of Independent Artists exhibition in New York was a urinal signed 'R. Mutt' - a literal repositioning of an mass-produced object into an entirely new context which still resonates today. He has been the focus of numerous worldwide exhibitions, retrospectives, and literature, including the Tate and the Notron Simon Museum, California.